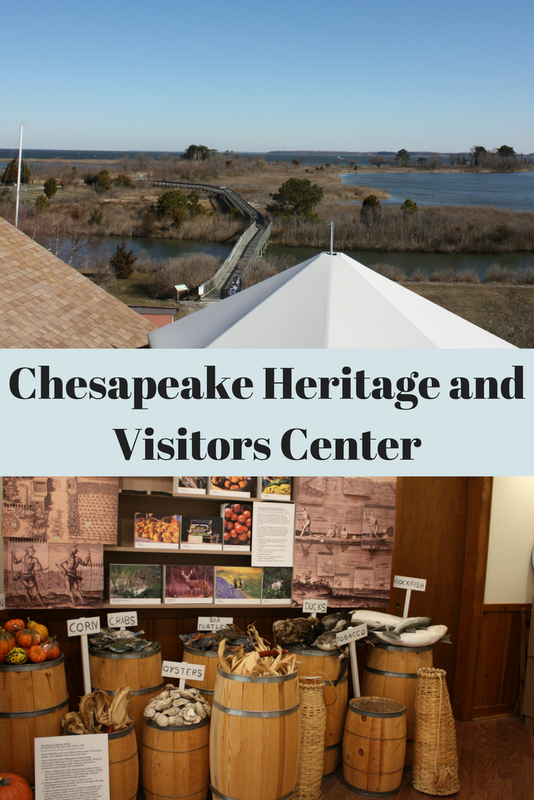 Before heading into Annapolis for the day after spending an evening on Kent Island, we stopped at the Chesapeake Heritage and Visitors Center. The visitor center provided a window into the history of the region including the people, geology, ecology and economy. Initially, the museum seemed a bit on the small side but we really learned a lot. A worthy adventure! I really loved that the museum included some hands-on aspects like the drawers above full of artifacts! The set of drawers actually included some points left by ancient dwellers of the area. I was actually pretty surprised how far back the record went. Other hands-on elements are threaded throughout the center. I loved the loved the "market" highlighting the produce, sea creatures and birds vital to the economy of the Chesapeake Bay area. 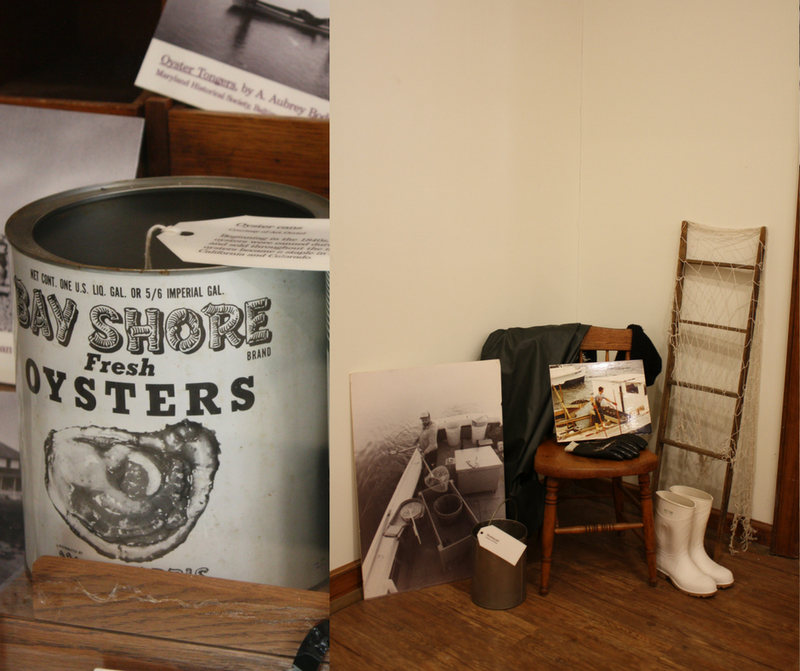 Throughout the museum, we did learn how some of this shifted throughout the centuries and how some stayed the same. Tobacco was once an important crop in the region. One thing that I did not know is that tobacco was once an important crop in the area. However, farmers eventually moved on to corn or wheat that were more profitable. Pictured above are braids of tobacco. Oysters, crabs and other sea life are vital to the Chesapeake Bay heritage and economy. Fishing is an incredible important part of the heritage of the region. Of course, one cannot leave without eating some Maryland crab! So, I did twice and will share later! Oysters also are important to the region. The center has a large window area where you can look out at the narrows to observe wildlife. I love that there is a guide to help you identify birds! Outside, visitors can climb several towers providing views of Kent Narrows, the Chester River and the Eastern Bay. The wind was pretty crazy during our visit, so definitely be aware if you are going to climb the towers. Views are pretty incredible from the towers! After climbing the towers, we explored the boardwalk you can see in the photo above. The trails are part of Ferry Point Park and provide for a peaceful amble with delightful views. 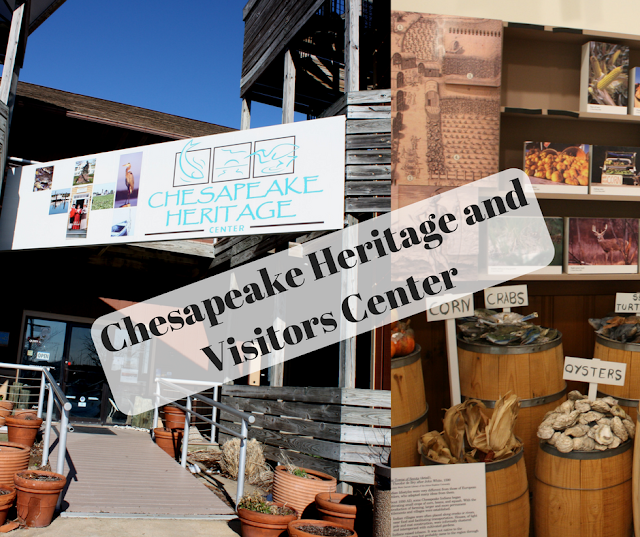 The Chesapeake Heritage and Visitors Center in Kent Narrows, Maryland was the perfect place for us to orient ourselves and become acquainted with the region. The center also contains quite a bit of traveler information and is free. So, the center is quite a nice combination for beginning your journey!